In some situations, stress and shoulder pain are connected. When a person gets stressed fordifferent reasons, the body can react in various ways. While one person may break out in cold sweats or develop a fever due to stress, another person can experience shoulder pain whenever stress is present. Individuals have complained about agonizing pain in the neck and shoulder region whenever they get stressed. Hence, understanding the connection between stress and shoulder pain can lead to better treatment and management of the condition. Stress and anxiety can generate symptoms including muscle spasms which can travel throughout the body and cause shoulder pain. Anxiety from stressful situations can also create nerve impulses that carry a sensation of pain to the shoulder area. Especially where there is no pre-existing trauma or inflammation in the shoulder joints or area, the presence of pain could indicate a transferred reaction from other parts of the body, even if the reaction begins with mental stimuli. In situations where the pain and discomfort appears to radiate through the body, there is a greater tendency to align such symptoms with stress or an anxiety reaction. It is difficult to miss these symptoms and a safe recommendation involves getting a medical assessment about the situations to eliminate potentially severe medical conditions that could be contributing to the problem. When patients present symptoms which exclude regular or more common indicators of shoulder pain such as the presence of injury or a history of arthritis symptoms, other factors which may not seem physical should be investigated. If individuals have been able to determine that they feel pain whenever they get stressed, this observation can help a physician prescribe the best course for treatment. Anti-anxiety medications may help reduce levels of anxiety. Apart from traditional prescribed anti-anxiety or stress-reducing medications, there are natural medicinal alternatives that can have tangible effects on reducing stress and anxiety. For some people, massage therapy, acupuncture and chiropractic treatments helps to reduce stress levels and prevent associated shoulder pain. There may also be other coping strategies that could be established to help people divert stress-related energy before it builds up to a harmful level. Physical therapies can provide relief for muscles that are impacted by stress. However, cognitive, emotional and mental therapies can help people focus on the stressors that generate stress. Identifying potential sources of stress and seeking ways to either avoid these stressors or cope with uncontrollable stressors can be vital in eliminating the source of muscle spasms, tension in the body and shoulder pain. There are also nutritional components to alleviating stress levels and some of these nutritional recommendations include taking certain foods and vitamins. Too much caffeine could be detrimental to a person’s stress levels and in some people too much sugar can also have the same effect. 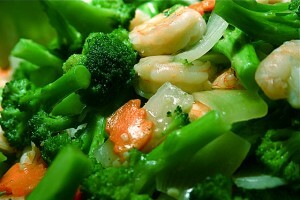 Vitamin B is useful in counteracting stressors that are encountered on a daily basis. Hence, making dietary changes can affect reactions to stressors and the pain that people feel in their shoulders and other parts of their body. Exercise is another good way to relieve stress and in turn avoid shoulder pain. 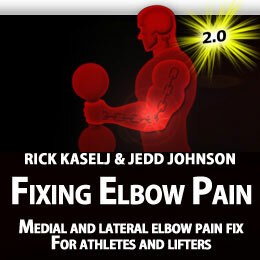 I go through effective exercises for your shoulder in my Shoulder Pain Solved program. By exercising and stretching, people are able to move their joints and relieve the tension that can build up. As a person gets stressed, muscles tend to contract and may contract too fast or rigidly. This is what provides a sensation of pain because the event is beyond what a normally functioning part of the body would do. As the contractions in the muscles occur, the strain causes pain. However, increases in muscle contraction can also occur if a person is exercising too aggressively or performing other activities in a manner that stresses parts of the body. In protest, muscles around the stressed portions of the body begin to adjust to absorb the extra energy levels that are generated. wing through the body. Hence, activity modification is another way to treat stress and associated shoulder pain. Apart from the shoulders, tension from stress can be felt in other parts of the body. As the mind becomes stressed, it translates this experience into a physical reaction in the body. Other symptoms that could accompany shoulder tension and shoulder pain can include shortness of breath and pain in other parts of the body such as the chest and the neck. Stress can also affect the way a person breathes. In a relaxed state, the shoulders tend to drop and this occurs without people paying much attention to their posture. In times of less stress, people hardly notice the effortless breaths that are taken or the relaxed posture their body adopts. However, when stressful events occur such as problems at work, a sick child, a divorce, a death in the family, an accident or other stressful occasions, the body can get tense and rigid. 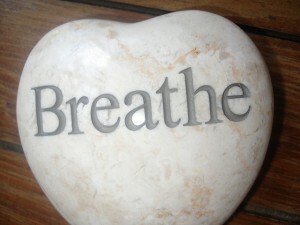 In such stressful scenarios, breathing can become rapid and problematic. Individuals may also not be aware that their postures have become agitated or affected by the introduction of stressful events. Hence, the mental state of the body can greatly affect the physical state of the body. Tendons and muscles can become strained because the body is not experiencing peace and relaxation. When breathing is laboured or shallow, the body reacts negatively because it is working too hard to accommodate the changes it is experiencing. A diagnosis of stress in relation to shoulder pain may not seem to make much sense to the pain sufferer. Nevertheless, it can be an accurate diagnosis. Careful observation of activities, patterns and events are important connectors for validating the diagnosis. As stressors become present or stress increases, individuals experiencing stress-related shoulder pain can have more success with regards to treatment if they focus on the root cause of the problem. When people incorporate stress reduction techniques in every aspect of their daily lives, it can also help to minimize tension in the body and shoulder pain. I hope this article has given you greater insight on the link between stress and shoulder pain. This entry was posted on Wednesday, April 4th, 2012 at 6:05 am	and is filed under Shoulder Pain. You can follow any responses to this entry through the RSS 2.0 feed. You can leave a response, or trackback from your own site.